For over a decade, Joseph A. Santoro has demonstrated a proven ability to deliver substantial victories in highly competitive environments through aggressive, thoroughly researched and analyzed development strategies. Having studied at Georgetown, Johns Hopkins SAIS, Roger Williams and Brown Universities; Joseph Santoro consulted and collaborated on over 70 political, legislative, marketing, PR, and media campaigns. 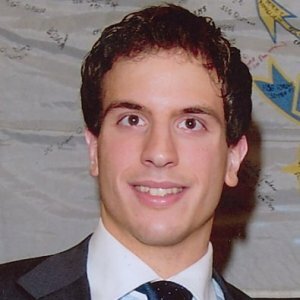 Joseph Santoro has developed a uniquely broad skill-set to create new applications, mentor productive teams, present vivid issues and bring messages to life. Operating in the world of Progressive Politics, Policy and Marketing, Joe has worked in Congress, on the campaign trail, in major Polling & Consulting firms, non-profit organizations and foreign governments. Some of his accounts have included The Sierra Club, The National Education Association, The DNC, OFA, The Ohio Campaign for Change, Labor Unions like AFL-CIO, IBEW and ATU, a wide range of officeholders like Senator Mark Begich and President Barack Obama, as well as ballot initiatives and issue platforms varying from healthcare reform, education, pensions, college grants, land conservation, a living wage, biotech, transportation, and immigration reform. As a contributor, Joseph is a detailed process engineer. He's able to bring together disparate ideas, technology, people, and departments to achieve maximum efficiency and desired results. He exudes a positive attitude and brings with it a solution-oriented approach. Joseph shares that excitement and optimism with his teams and those he advocates to-and-for, while also careful to temper this with input from his network of trusted voices and my own extensive profile of previous experiences. As a leader and a strategist, Joseph believes in leading by doing and strategizing based on concrete data and experience, never suggesting an idea without a clear path to implementation. He's earned the respect of the teams he leads and the DC elite by testing, failing, improving, and succeeding; displaying my fortitude, tenacity and discipline. He follows through no matter how big or small the task and stays engaged well beyond an initial brainstorm or meeting. "Victory can have many different definitions depending on the organization, the project and how it’s won; but I’m the consummate competitor totally intent on the win!"